It's true, I dropped the ball yet again and did not do Holiday cards this year. Or last year. Okay, I didn't drop the ball, I kind of drop kicked it. Truth be told, I'm over sending Holiday cards. Christmas cards. Seasons greetings, whatever PC thing you want to call them. And I'm too lazy and busy and cheap. And honestly, I don't have anything to top the last one. Instead, ladies and gentleman, this is my holiday card. 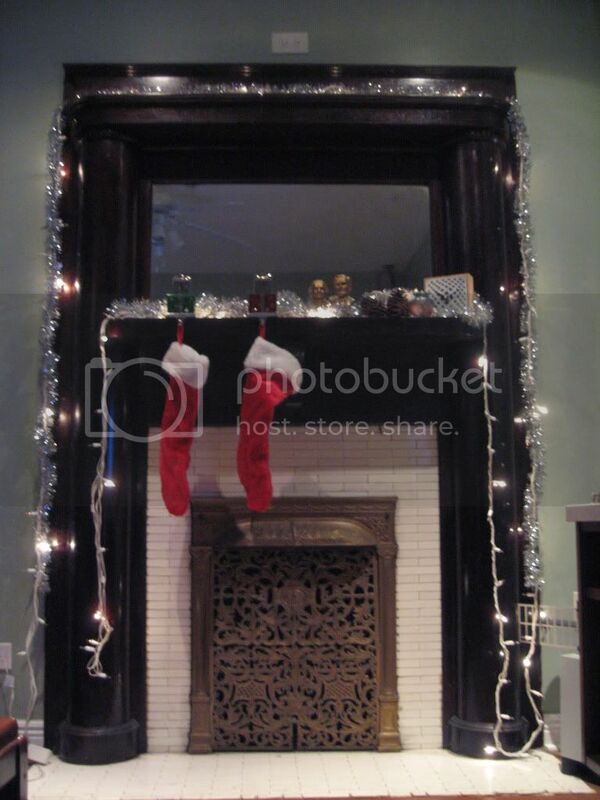 I bring you Holiday obSESSIONS. Sweets, specifically my mom's cookies. Two varieties that I particularly look forward to - peanut butter blossoms and kolacky, apricot in particular. 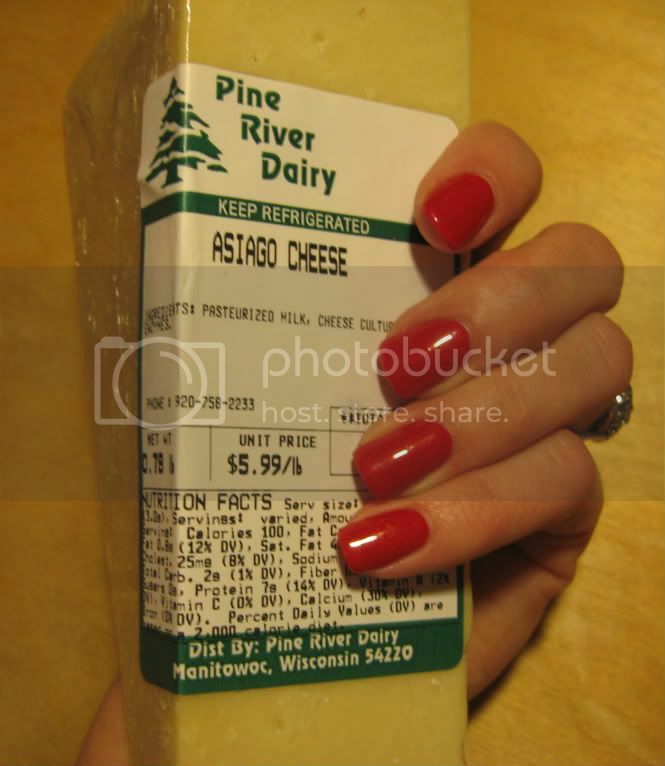 Cheese (a classic) and no chip manicures (a new love) of course! This large hunk of asiago cheese from the delicious Pine River Dairy in Manitowoc, WI was an early Christmas present that may or may not have served as the better part of my dinner a few nights this week. I am also reluctantly becoming obsessed with no chip manicures. I am not a regular manicure person; I just can't rationalize spending that kind of money on something that always chips within a few days or that I ding up while I'm driving home. However, the no chip is another story. This is my second one and I am in love. It literally doesn't chip for 2 weeks, minimum. It goes longer, but your nails grow out and then it looks weird. And it didn't ruin my nails like I feared it would; they actually grow under the polish and are pretty long thanks to the last one protecting them. I can't make it a habit, but I will be making it an indulgence. Favorite Christmas song, hands down. The video is worth watching just to get a glimpse of George Michael's hair alone. I'm about to attempt making an apple pie for the first time since about 2002. Then we'll be off to multiple family gatherings over the next few days. Other than the food, I'm very much looking forward to watching the little ones open their gifts and the madness that ensues afterward, playing a grueling round of board games with my immediate family that is only all together a few times a year, watching National Lampoon's Chistmas Vacation, and hopefully witnessing my brother do something ridiculous that I can chide him about for years to come.